Melissa White encourages us all to Start selling Roses! $40/dozen - gorgeous long-stemmed roses with baby's breath and greens, boxed with love and sealed with the tears of an angel. Pick-up wil be May 10, bright and early at the White's residence in Richmond (directions to follow). Scott Vetter informed us of the Capital City Clean-up at corner of Bank Street and Rotary Way, April 27 form 9 - 11am. The city will provide bags and some gloves, but please show up dressed appropriately with a pair of gloves. Our club is responsible for that section of Bank and Rotary, keeping it clean for all those passing by Ottawa Rotary Home. A sign-up sheet will be posted online. Next week is our General Assembly, Area Governor Hadi Mortada will be attending. Joan joyously collected out loonies along with laurels and laments. President Joan presided over the 50/50 draw and (surprise, surprise) Sam had teh winning ticket yet again. He drew another Jack as the Joker continues to ellude him. Longtime member, and resident Quizz Master, Ian Warrack entertained and enlightened us with a challenging list of Rotary- based questions. 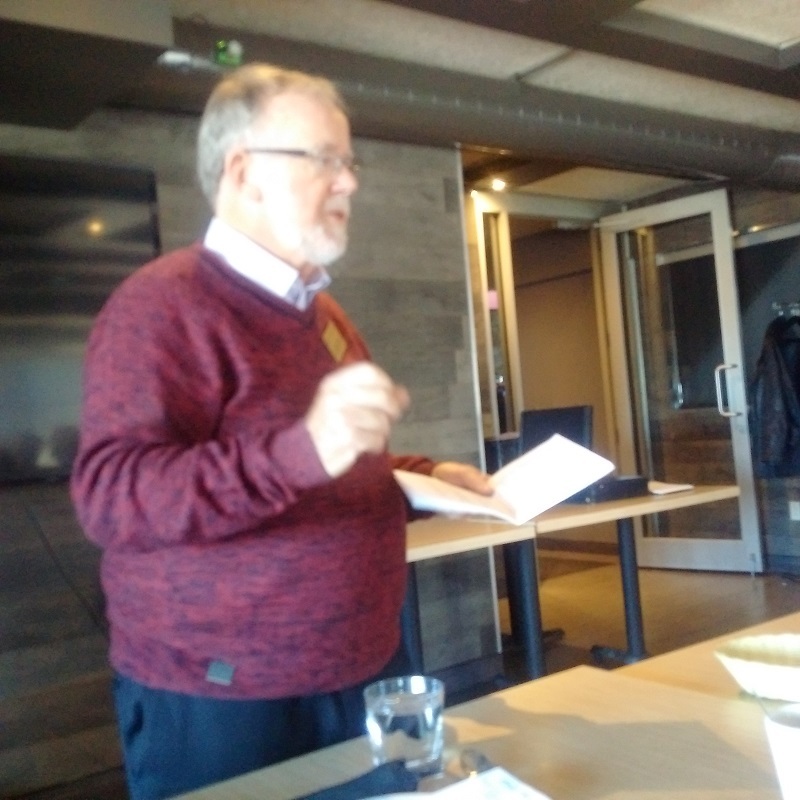 Ian Warrack quizzes the Rotary Club of Ottawa members. 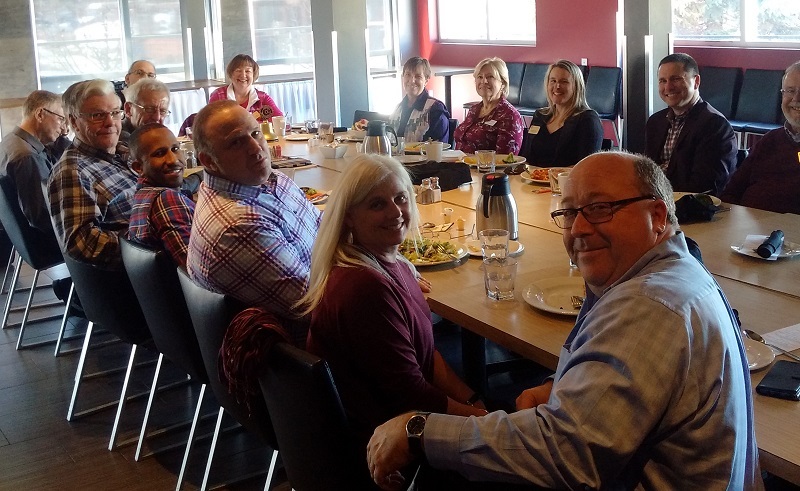 Members enjoy lunch and conversation.